Is 'Ghostbusters II' The Worse Movie Sequel Yet? 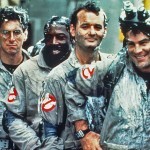 | Like Totally 80s Is 'Ghostbusters II' The Worse Movie Sequel Yet? 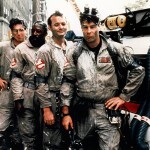 Home » TV & Movies » Is ‘Ghostbusters II’ The Worse Movie Sequel Yet? The Ghostbusters film had plenty of memorable characters especially the Mr. Stay Puft Marshmallow Man. However the 1989 follow-up to the film Ghostbusters II just didn’t seem to hold any type of merit whatsoever. 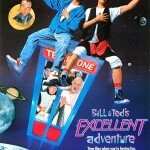 Not to mention, Bill Murray didn’t really want to do the sequel. Right now, Ghostbusters II happens to be the worse of the three Ghostbusters films in terms of Rotten Tomatoes ratings. That includes the brand new 2016 reboot that topped the Worldwide Box Office in opening week. Ghostbusters II had a 50 percent rating on Rotten Tomatoes, while the original film has a whopping 97 percent rating and the reboot comes in with a decent 73 percent rating. The featured single for the film titled, “On Our Own” was also a little underwhelming and the Ghostbusters rap towards the 3 minute mark was a little much. Now, Bobby Brown was huge at this time, however, this song somehow doesn’t cut it. The Ghostbusters II film didn’t use much of the original Ghostbuster’s theme song from Ray Parker Jr., who still can’t believe that Times Square was shut down so he was able to film the music video for the track. 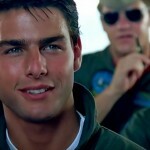 The new 2016 reboot even used the track as a teaser for the film, though, it was an altered version of the original. All in all it just seems like Ghostbusters II did have the magic that was captured in the first film which was absolutely incredible.